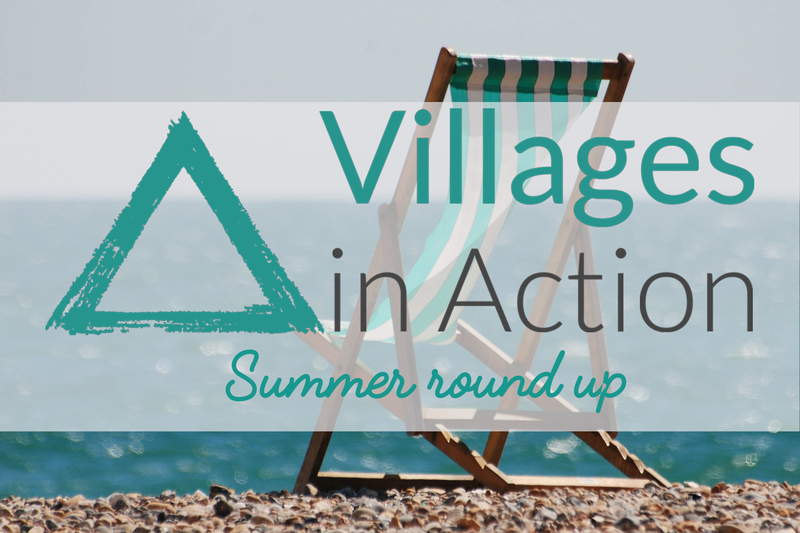 Villages In Action | Summer 2018 round up – end of season shows, new staff, and a big thank you! Summer 2018 round up – end of season shows, new staff, and a big thank you! We’re coming to the end of our Villages in Action spring season, but since the menu parties we’ve been busy behind the scenes! 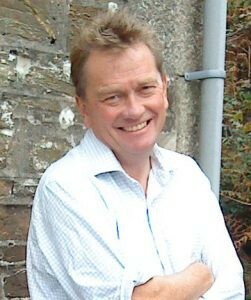 As you may know, Carn to Cove (the Cornwall rural touring scheme) secured Arts Council funding to continue the ViA network for the next two years, and that includes developing new funding streams as well as maintaining the current output of two season each year and all that is involved with that. 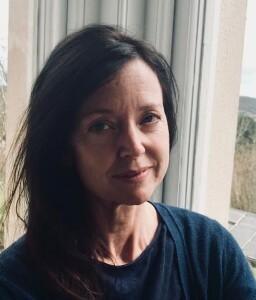 We’ve successfully recruited for two new posts and we’re delighted to introduce you to Imogen Weatherly, who is working with us in Cornwall to help with the administration of the ViA programme and develop the marketing and social media campaigns for your events, and to Clare Parker who is based in Newton Abbot and whose main focus is on fundraising and advocacy for the project. Both have recently started their roles and Clare is busy getting stuck into the last two events of the spring season, the outdoor performances of The Cherry Orchard by Miracle Theatre, which will be held in two brand new venues this weekend – more of that later – and Imogen is helping with the bookings for the autumn season. We will be taking Clare and Imogen to the National Rural Touring Forum’s New Directions Showcase event in Worcester next week, where we’ll be seeing lots of great new work, which will no doubt appear in future menus, so watch this space. We’re really pleased to be taking several promoters with us this year – so hope to have a great couple of days. And also we’re excited that Crystal Zillwood – the dance artist from Devon who performed in Talaton and Awliscombe earlier this year – has been nominated in the NRTF awards, so we’ll be rooting for her next Wednesday as they announce the winners. We’d like to say a huge thank you to all the Villages in Action promoters for their great work this spring. We’ve had some fantastic events from international dance to locally based theatre and music and we’ve had some really lovely feedback from promoters and audiences. 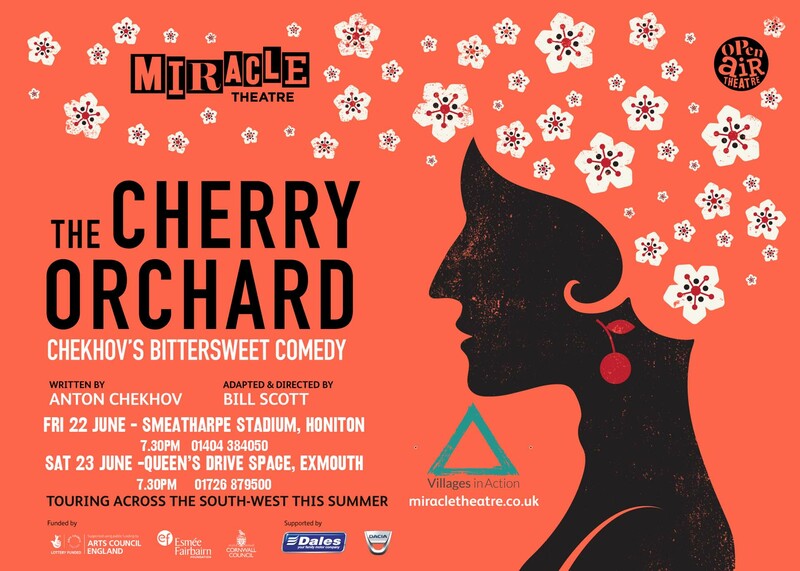 But it’s not quite over yet, and if you’re anywhere near Honiton or Exmouth this weekend, make sure to get tickets to see Miracle Theatre’s outdoor production of The Cherry Orchard – where you’ll be able to meet Clare (Smeatharpe) and Imogen (Exmouth) while you’re there. 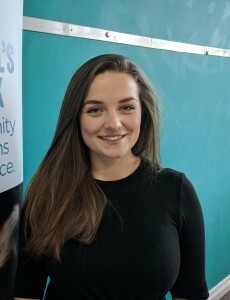 We also wanted to take this opportunity to say a massive thank you to Becky Smith for all she did over the last several years at ViA and for the amazing help and support she gave to us when we started working with you all last year. 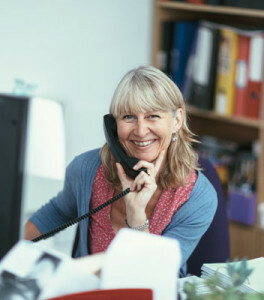 We literally would not have been able to run this spring season without her help, and we’re so pleased that she’s going to carry on promoting events in Cheriton Fitzpaine, so we can continue working with her, although in a different capacity. That’s about it for now – look out for updates on our autumn season coming soon, and have a lovely summer!